In these troubled times, it is so refreshing to have go-to’s; the warmest winter coat, most reliable website, dependable friends. Verdura jewelry is timelessly chic, enduring elegance, jewelry that has always appealed to those in-the-know. 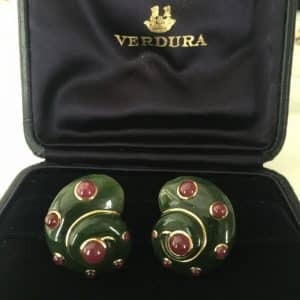 Verdura opened his own boutique in New York in 1939 at 712 Fifth Avenue backed by the Porters and Vincent Astor. 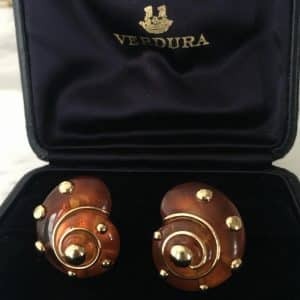 Linda Porter commissioned 62 boxes from Verdura, most to commemorate her husband’s shows. 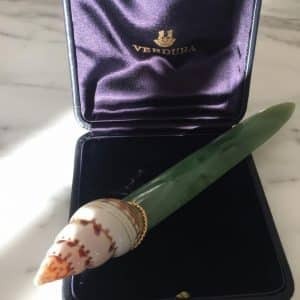 Generations of Cushings, Whitneys, Rockefellers, Mellons, and Astors depended on Verdura for fine craftsmanship and bespoke, beguiling design. Current collectors include Brooke Shields, Sofia Coppola, and Sarah Jessica Parker. 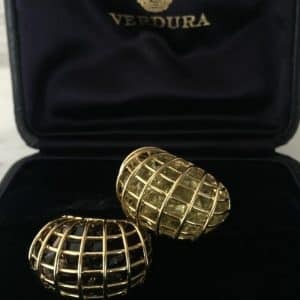 Verdura’s understanding of fine art, appreciation of natural forms and elevated background made him an ideal jeweler for those with taste and resources. We present here and above five wonderful examples of his enduring style, all at excellent prices. 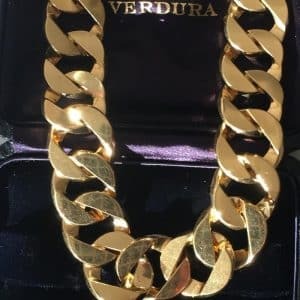 Several of these pieces are not on our website yet, so for details and prices kindly click reply on this email and refer to our Instagram link below.